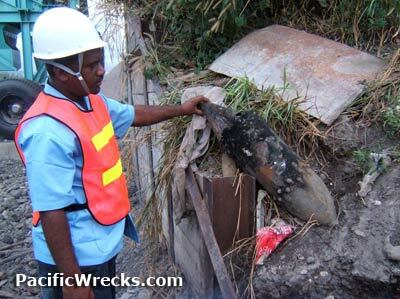 Welcome to a new year of PacificWrecks Updates. In February, the documentary Honor Deferred aired on the History Channel (USA) including interviews with since deceased Don Fetterly and myself about George Watson who earned the medal of honor. Veteran Richard E. Smith passed this past February. He flew with the 39th Fighter Squadron, the first unit to fly the P-38 Lightning in the South Pacific. I had the pleasure of correspond with Smith for many years, and met him in January. This update profiles his legacy. Smith served in the earliest days of the New Guinea air war. Also, he has the distinction of being the only pilot to ever visit the actual aircraft he flew in combat, where the war left it. 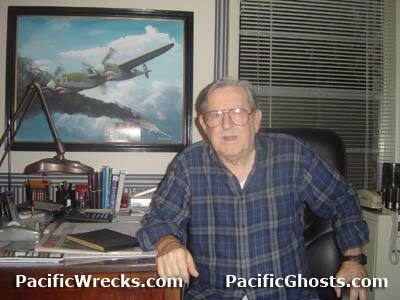 His former airplane,P-38H "Japanese Sandman II" 42-66905, with his name and victory markings still visible, was discovered in 1985 and the following year, Smith and his wife visited the wreck. The trip to New Guinea was on of his life's greatest highlights. 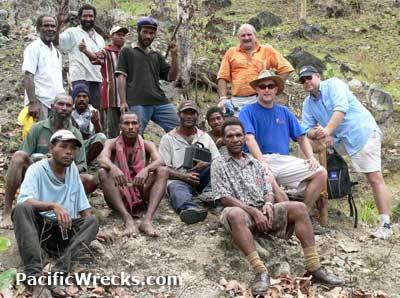 by Justin Taylan Aircraft salvage in Papua New Guinea (PNG) spans from the war years to the present day. Over the decades, these wrecks have gone from being worth only their weight in scrap metal, to relics sought after by collectors. by Bob Piper In November 1945 a RAAF transport aircraft crashed on a 7,000’ mountain peak during a short flight from Jacquinot Bay to Rabaul in New Guinea. All twenty eight on board lost their lives. Among the crew was Sister Verdun Sheah, whose remarkable life and premonition of the accident made the loss all the more tragic. by John Douglas To my knowledge no-one has ever dived into Empress Augusta Bay, to see what remains of 50 landing craft and over 100 aircraft. This must be an undiscovered, unexploited, diver’s paradise, and one day I will visit the bay and dive it. In the news item reported last update, John Douglas reported a cache of US Army dogtags at 14 Mile Drome . With the help of contributors from around the world, information on several of the names has come to light, and one tag will be returned! Learn about these tiny pieces of history and their stories to be told. This bomb, likely a Type 98 No.7 Model 1 Navy fire bomb exploded inside an aggregate crushing plant on Guadalcanal after being collected in gravel excavated from the Lunga River area. Story via Jimmy Nuake with special thanks to Don MacArthur, Stan Gajda and Peter Flahavin for identification of bomb. Learn about Nakamura-san's work with the Harada collection Zeros, restoring meticulous instrument panels and gauges for aircraft. 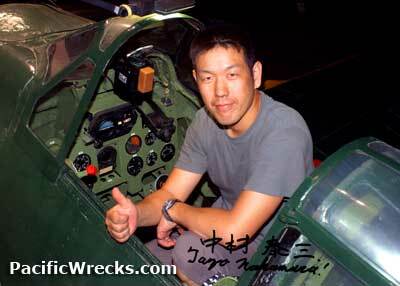 Also, his involvement with the crash site of Ki-45 4057 in Japan. 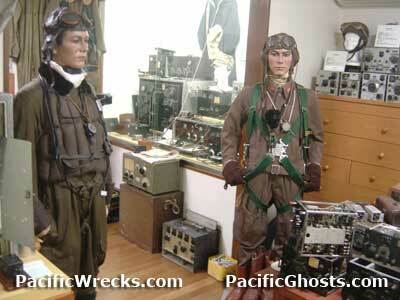 Museum dedicated to radar, radios and associated gear of the Japanese Army and Navy during WWII. The museum is privately funded by curator and founder, Takashi Doi. by Walt Deas This documentary explores the history of Papua New Guinea, and the wartime history of the USAAF 5th Air Force's 38th Bombardment Group, 405th Bombardment Squadron that flew the B-25 Mitchell at low level as a strafer. 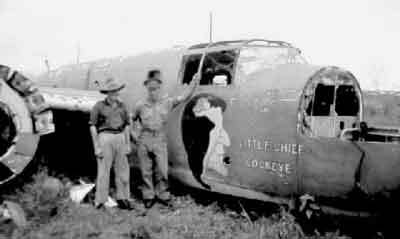 The focal point is the specific history of one crew and aircraft: B-25D 41-30118, which ditched on a coral reef. Review by Daniel Leahy. Damien Parer’s Oscar winning documentary, “Kokoda Frontline” has finally been released on its own, exclusive DVD. Parer’s films include some of the best ‘up close and personal’ footage to come from the battles of World War Two. This is the first time these newsreels have been presented in such a high quality, and it’s great to pick out new details even though I’ve seen each on numerous occasions.